Back (l-r): Peggy Jo Kippes, Fay Housley, Kirt Hatch, Jeff Theurer, Mr. 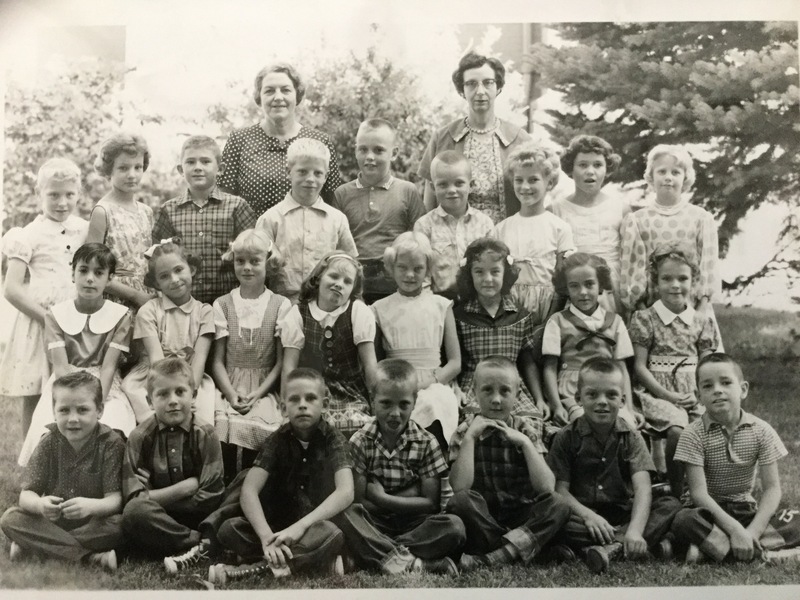 Oral L. Ballam, Lynn Carlson, Zan Christensen, Shanna Bullen, Jane Robinson; Middle: Peggy Anne Plant, Beth Cartwright, Fern Housley, Beth Ann Miller, Barbara Housley, Sandra Jonas, Shelley Fonsbeck, Ann Bair, Debra Day; Front: Jay Purser, Reed Webb, Gary Anderson, Jimmy Johnson, Steven Bowles, Kim Christensen, Leslie Smith. This is the second of two grade school pictures of my Mom. This one is of her 6th Grade year at Park Elementary, Richmond, Cache, Utah. 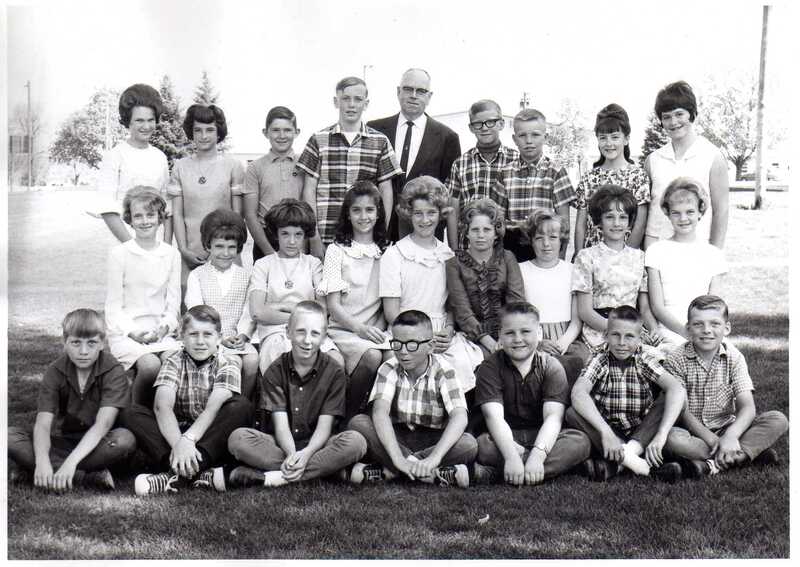 This is probably the 1964-1965 school year. I wonder if any of these other students are out there somewhere? What stories would they tell? Mom won’t tell me much of her childhood so I really don’t have much to add. Anyone venture? There are two that are unknown or uncertain. If anyone can correct or clarify, I would very much appreciate it. Mr. Oral Lynn Ballam (1901 – 1993). He was both the Principal and 6th Grade Teacher. He has appeared in other posts as teacher and also as student! Back (l-r): Jimmy Johnson, Gary Anderson, Kirt Hatch, Jeffery Theurer, Zan Christensen, Steven Bowles, Reed Webb, Mrs. Leona Rasmussen McCarrey. 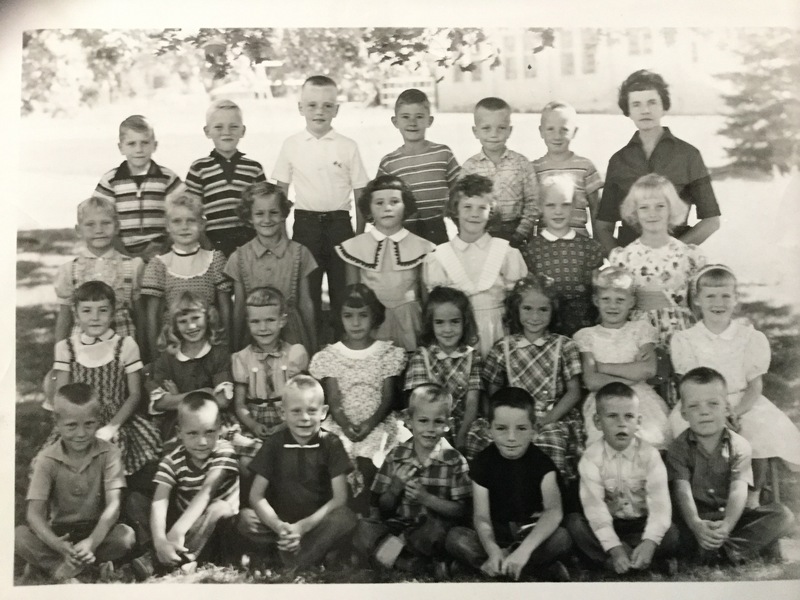 Middle: Leslie Smith, Jay Purser, Dixie Eskelsen, Sandra Jonas, Barbara Housley, Debra Day, Fern Housley, Beth Cartwright, Kim Christensen. Front: Ann Bair, Fay Housley, Beth Ann Miller, Jane Robinson, Peggy Jo Kippes, Peggy Anne Plant, Shanna Bullen. This is one of two grade school pictures of my Mom. 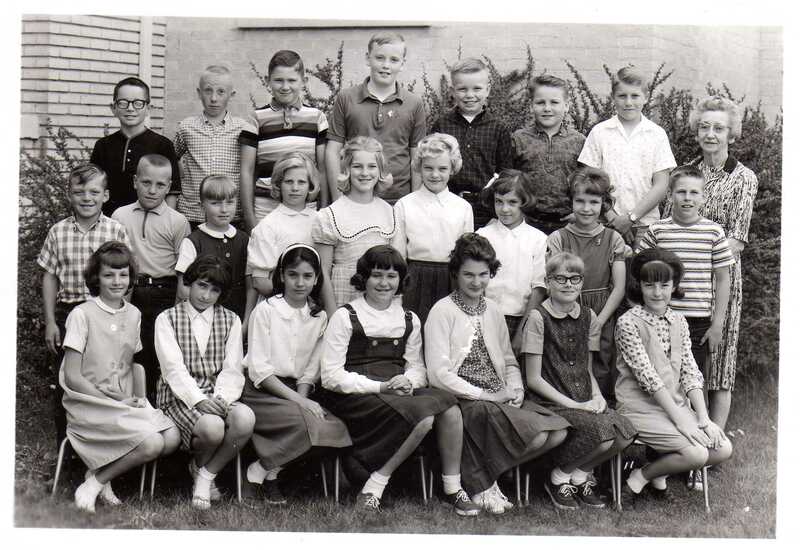 This one is of her 5th Grade year at Park Elementary, Richmond, Cache, Utah. 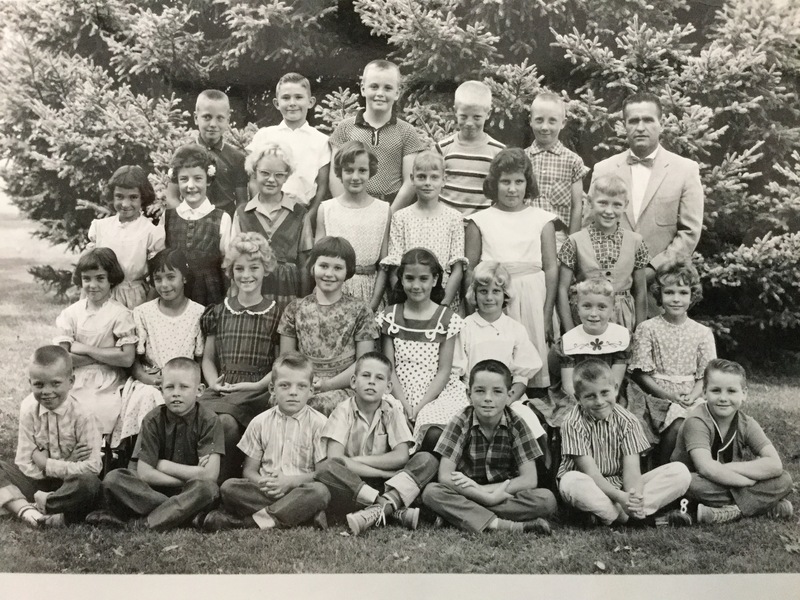 This is probably the 1963-1964 school year. I wonder if any of these other students are out there somewhere? What stories would they tell? Mom won’t tell me much of her childhood so I really don’t have much to add. Anyone venture?